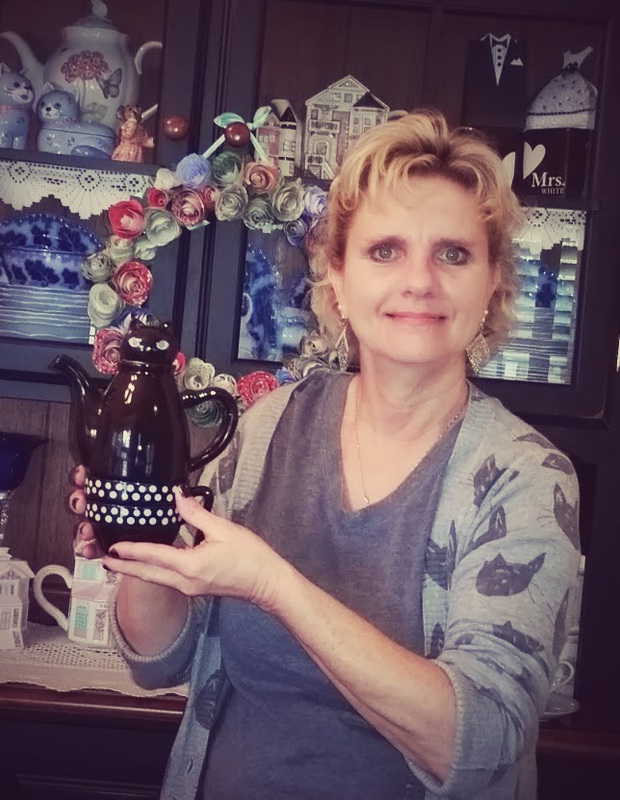 Shiny Moon Beams Blog: Siamese Cat Teapot, Anyone for a Cup of Tea? Siamese Cat Teapot, Anyone for a Cup of Tea? I don't know if this is a Siamese Cat but it looks like one to me! How do you like my cat sweater? I got that at Target in the fall of last year. I got a new Teapot with cups to add to my teapot collection. Although it's not a large collection, just a few. This Cat Teapot has two cups under the cat teapot. Here is what it says about the cat teapot "Paw Me Up Tea Cup Set"
I got this adorable teapot with cups at a really cool website I found called Modcloth, super cute vintage style dresses, shoes and unique items. Have a wonderful day and enjoy a cup of tea! how neat, I love how the cups can store with it!